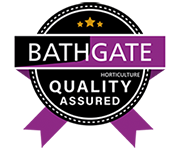 Bathgate takes pride in developing a comprehensive range of horticultural products for professional growers, landscapers, garden retailers and dedicated horticultural enthusiasts. Our wide range of products includes: Multi-Purpose Compost, Top Soil, Lawn and Sports Turf Top Dressing, Play Sand, Block Paving Sand, GrowBags and much more. Bathgate Horticulture is a range of products from Bathgate Silica Sand, an independently-owned company that has been established for 100 years and is part of the Bathgate Group. We offer nationwide distribution from a single pallet to a full load on all products from the Bathgate Horticultural and Bathgate Silica Sand range.